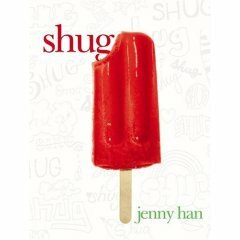 Shug is a twelve year old who goes through all the sorts of things that 12 year olds go through in YA novels, from friends drifting apart to getting her first period, all the usual trademark moments of these novels are present. But the central point of the story is her boy-next-door friend Mark who she desperately wants to be her first kiss. While the story ingredients are old and familiar, Han spins them in an unusual way, making this story a real stand-out novel. There's more than enough angst to please the intended audience, but there's a great depth to the characters that makes this a truly outstanding addition to the genre. Thank you for the sweet review! hey well i just checked out your book from my school library and it seems really interesting.i cant wait till i get to the end!! !